Attendances were on the up in the Championship thanks largely to sides relegated from the Premier League - Newcastle (average home League gate of 51,106) and Aston Villa (32,107). Champions Newcastle's figure was the third best ever average in the second tier. Newcastle pipped Brighton to the title after the south coast side picked up just one point from their last 3 matches. In one of those matches Brighton were beaten 2-0 at Norwich where their goalkeeper, David Stockdale, had the misfortune to score two identical own goals - more details. 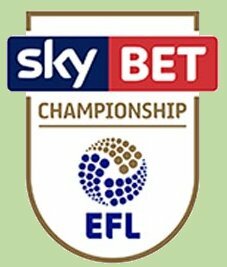 Perhaps surprisingly two clubs who had finished 17th and 19th in last season's Championship and who had finished this season with goal differences of +4 and -2 met in what was described as the most valuable football match in the world - the Play Off final with a Premier League place and a reputed £170million at stake. Huddersfield, who had been beaten 5-0 and 4-1 by Fulham during the League season, met Reading, who had lost 7-1 at Norwich just before the season ended, at Wembley and they couldn't manage a goal between them until the penalties. Then it was Huddersfield who prevailed to earn the right to play in the Premier League for the first time.